Blindness continues to be a debilitating condition that affects the productivity and poses as a challenge to obtaining and sustaining employment. Some estimates posit that over 70 percent of those considered legally blind are unemployed. This figure, paired with the fact that most wearable technologies that aim to ameliorate blindness have hefty price tags – some totaling to over 13 thousand dollars, represents a veritable challenge in delivering solutions to the blind. During the 2017 Invictus Games, an international Paralympic-style organized by advisors of Prince Harry, a promising breakthrough was showcased at a product innovation exhibit. Here, an organization called eSight Eyewear demonstrated its potential to disrupt the high cost of visual assistive technology by presenting its Muse eye headwear. Boasting a retail cost of $299, the device is already a game changer within its industry niche. It works by using an external camera to project images onto two high-definition screens facing the user’s eyes. To cater to each user’s visual abilities, the device provides a remote control to allow optimization of magnification, contrast, and other variables. The novelty of the device does not end in its price. eSight Eyewear’s device includes a meditation function. It works by incorporating analysis of a user’s brain’s electrical activity in conjunction with a mobile application that plays sounds recurring from nature. The reasoning behind this additional functionality lies in the proposition that eSight wants the product to cater to athletes’ recovery needs as well as reduce stress for the user. 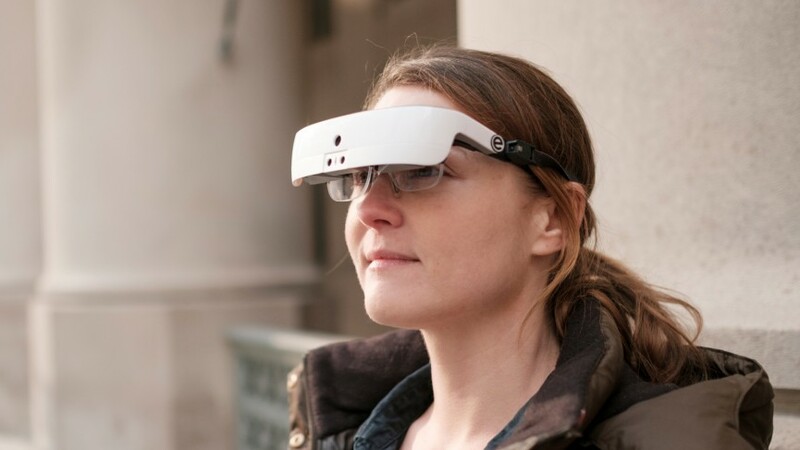 Although this may be considered a gimmick by some, the eSight Eyewear is certainly a breakthrough in assistive visual technology that won’t break the bank. Nonetheless, the product faces many challenges, most notably being since it can only assist the visual ability of blind people with relatively high functioning eyesight. This entry was posted on Sunday, October 1st, 2017 at 7:47 pm and is filed under Uncategorized. You can follow any responses to this entry through the RSS 2.0 feed. You can leave a response, or trackback from your own site.